1-Release Date .... March 6, 2009. 3-Platform ............ Windows XP Professional SP3 Corporate 32-bit. GENUINE/UNTOUCHED & ABLE TO MICROSOFT VALIDATE/UPDATE. DOWNLOAD "PowerISO" HERE (THIS IS WHAT I USE). 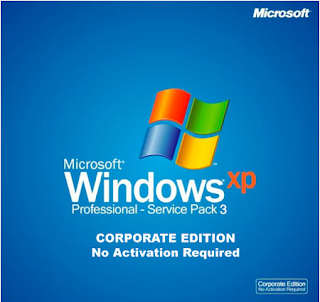 DOWNLOAD THE XP ALL PRODUCTS/EDITION/VERSIONS/SERVICE PACKS ACTIVATION CRACK HERE (HANDY TO HAVE). PLEASE TAKE ONE MOMENT OF YOUR TIME TO SAY "THANKYOU" AS I SEARCH/DOWNLOAD/SCAN WITH ESET SMART SECURITY/INSTALL/TEST TO SHARE QUALITY WORKING SOFTWARE WITH YOU!! !